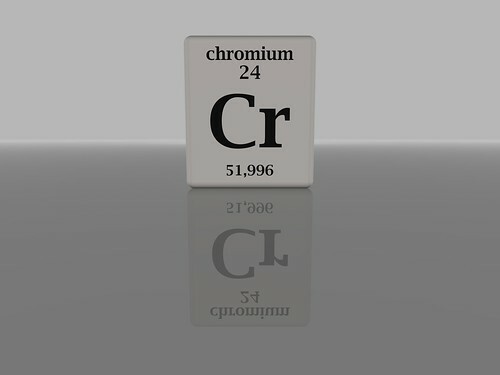 Chromium is a mineral that aids the body in several functions and processes. While it is found naturally in foods like potatoes, yeast, red meat, spices, fruits and vegetables, it is also available in supplement form. These supplements may provide numerous advantages to overall health and wellness. Many may not know however, that the mineral is also associated with certain risks and complications. When ingested or released into the body in excess amounts, the element can become dangerous. Recently, this was learned the hard way by patients who received a hip transplant; the implant released chromium ions due to faulty components. This caused tissues surrounding the site to become inflamed and damaged. You can learn more about the failure by searching online for the Stryker hip recall lawsuits. The following is an in-depth look at chromium supplementation, which includes information on benefits, risks and more. Since vitamins and supplements aren’t regulated by the FDA, there are no universal instructions regarding dosage. However, on average, adult men should get a minimum of 30 micrograms per day, while adult women should receive a daily minimum of 20 micrograms. Managing type 2 diabetes. Since the mineral plays a vital role in the body’s process of turning blood glucose into energy, regular supplementation may help regulate blood sugar levels in individuals with type 2 diabetes. Promoting eye health. Low levels are common among patients with glaucoma; therefore, supplements may reduce the risks of this and other conditions relating to eye health. Preventing bone loss. Especially in menopausal women, supplementation may reduce risks associated with osteoporosis and other conditions by preventing the loss of bone density. Weight loss and improved muscle tone. Studies suggest that, since the mineral aids the body in burning fat and carbohydrates, it may be useful in promoting weight loss and building muscle tone. Promoting healthy cardiovascular function. Since low levels are associated with high cholesterol and an increased risk of heart disease, supplementation is often used in promoting and protecting heart health. The development of gastric ulcers. Increased risk of lung and other cancers. Damage to the liver, kidneys and other organs. Irregular heart rhythm and other complications to cardiovascular health. Harmful drug interactions, especially when taken in conjunction with antacids, insulin, medications used to treat high cholesterol or high blood pressure, corticosteroids and certain anti-inflammatory drugs. Fever, chills and other flu-like symptoms. And there you have it: all you need to know about chromium supplementation. While supplements can be beneficial, talk to a doctor before beginning a personal regimen. Teresa Stewart enjoys investigating and writing about supplements which improve well-being. During her online research for chromium, she learned about the toxicity effects which was a component in the Stryker hip recall lawsuits.